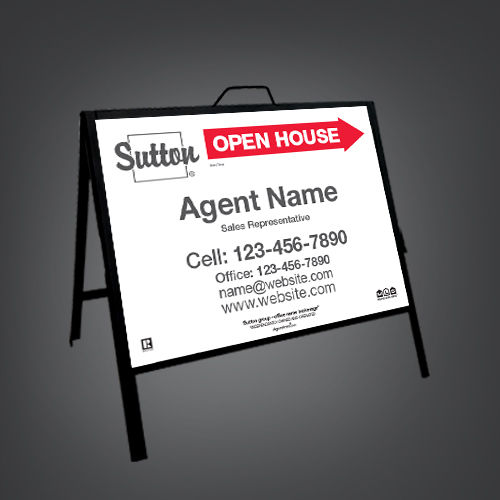 Custom Sutton Insert Signs offer a dynamic way to promote real estate properties and events. Made with sturdy coroplast, our affordable and re-writable inserts are ideal for multiple reuses. Durable A-Frame for Insert Signs. Each frame requires two inserts.